I just wrapped up a lease for a very nice 7,690 sq. ft. office/R&D space that was custom built for iRobot. Unfortunately, iRobot left town at the end of 2013, but one engineering company’s loss is another’s gain. I love this building as it is a former auto body shop that has been repurposed into a sleek new office/warehouse complex. 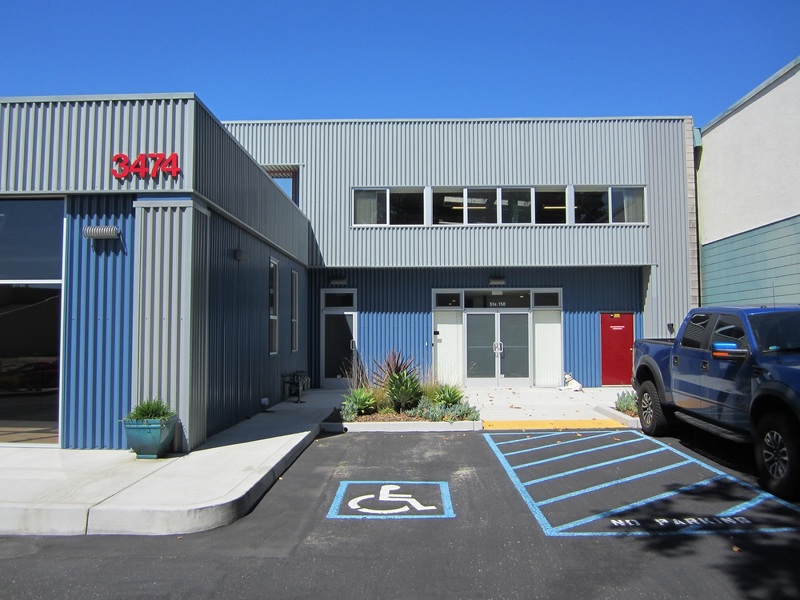 In an earlier post I wrote that this is what I love about San Luis Obispo: The lack of room to grow creates a need to repurpose existing buildings. Reduce, Reuse, Recycle. This entry was posted in Uncategorized and tagged 3474 Empresa, Anderson Commercial Real Estate, Derek Senn, San Luis Obispo, San Luis Obispo commercial real estate, San Luis Obispo commercial real estate agent, San Luis Obispo commercial real estate broker, San Luis Obispo office space for lease, San Luis Obispo real estate, San Luis Obispo real estate agent, San Luis Obispo redevelopment, SLO commercial real estate. Bookmark the permalink.